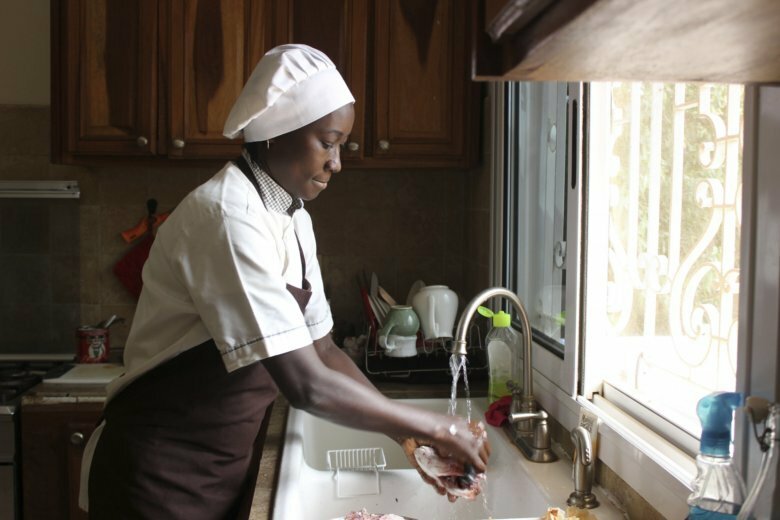 NGAPAROU, Senegal (AP) — In the quiet hours before lunch, two women worked side by side in an airy kitchen. One, a chef, cleaned fresh red snapper filets with a sharp knife. The other, a filmmaker, pointed her camera into a large pot of simmering vegetables. “What would you say this is, low heat or medium?” Tuleka Prah asked, setting the camera aside. Senegal was Prah’s fifth destination since her project began in 2012. She hopes to show the care and skill that goes into African dishes, such as South Africa’s fried dough amagwinya and Kenya’s kachumbari, an onion and tomato salad. To find authentic recipes and skilled chefs, Prah asks everyone she meets in a country – hosts, cab drivers, shop keepers and strangers – about their favorite foods. She met Sarr this way, through friends of friends.